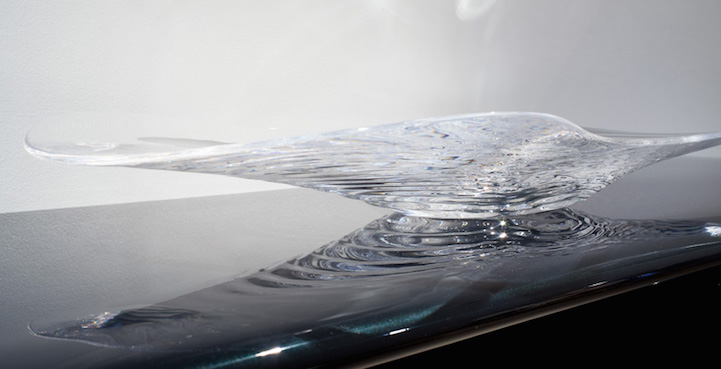 Zaha Hadid makes furniture that looks like frozen water #ArtTuesday « Adafruit Industries – Makers, hackers, artists, designers and engineers! Architect Zaha Hadid has added a range of stools and a bowl designed to resemble ice formations to her collection of furniture for London’s David Gill Gallery. The new transparent acrylic furniture designs follow similar forms to the coffee and dining tables first created by the London-based architect in 2012.